Blood conservation is a group of techniques used to minimize the need for blood used during treatment for a health condition. For individuals who desire bloodless surgery, which is any surgical procedure where no blood products foreign to the patient are used, blood conservation is essential. Many blood conservation techniques are appropriate for anyone who wants to minimize the possibility of needing a blood transfusion during or after their surgery. Donated blood is a precious resource. Every day the system is dependent upon the generosity of individuals who are willing to donate both their time and their blood to help others. Minimizing the waste of blood just makes sense and it begins with the collection and processing of the blood. In some ways, blood conservation techniques at the blood bank level just make sense: use blood before it expires so it doesn’t need to be discarded, improve the handling of blood so that there is no reason to dispose of it, and, in general, treat blood as the precious resource that it is. By protecting donated blood, we are more likely to have enough blood when an individual (or many individuals) have a need for a small or even massive transfusion. There are many reasons why an individual would choose not to accept blood or blood products from a donor, and there are even more reasons why conserving blood is smart from a practical standpoint. It is very reasonable to avoid a transfusion when possible, as there are risks regardless of the type of blood product given. Religion: Some religions, including Jehovah’s Witness, forbid or discourage blood transfusions. Avoiding the risks of transfusion: About 1 in every 2,000 patients who receive a transfusion will develop a bacterial infection from that transfusion, and 1 patient in 100 will develop a fever in reaction to a transfusion. While it is rare, an estimated 1 in 600,000 transfused patients will die from their transfusion, usually after a life-threatening allergic reaction called anaphylaxis. The vast majority of people who have a transfusion have no complications from the procedure. Concerns about infectious disease: While the blood supply in the United States is extremely safe, there have been individuals in the past who were infected with hepatitis and even HIV by a blood transfusion. Serious infections caused by a transfusion are extremely rare. Many countries have an equally safe blood supply, but there are also many countries that do not have adequate quality controls in place to prevent infection. Previous transfusion reaction: Individuals who have had a severe transfusion reaction after the administration of blood in the past may not be able to tolerate transfusions, no matter how desperately they may be needed. If anaphylaxis, a life-threatening allergic reaction, occurs due to a blood transfusion the patient may be advised not to accept a transfusion in the future. Certain types of injuries, medical conditions and medications, can increase chances that a patient will need a transfusion during or after a surgical procedure. Many types of surgery cause minimal blood loss, but others are known to frequently require transfusion. Older age: The older adult is more likely to need a transfusion than a younger patient. Anemia: The patient who has a decreased level of red blood cells, regardless of the reason, is more likely to require a transfusion during or after surgery. Patients on blood thinners: These medications prevent blood clots but also lead to greater bleeding during surgery. They are often stopped prior to a planned surgery. Returning to the OR: Patients who are having a second surgery to correct complications after a recent procedure. Emergency surgery: Surgery that is unplanned and unexpected is typically performed only for life-threatening illness, being severely ill increases the overall risk level of any surgery along with the risk of bleeding. Severe or multiple medical conditions in addition to the reason for surgery. Open heart surgery that requires the use of the heart-lung bypass machine. Cancer: Some types of cancer can decrease the body’s ability to produce red blood cells, while others decrease the body’s ability to make clotting factors in the liver--which allow blood to clot during bleeding. Trauma surgery: Injuries caused by a significant impact, such as a serious car crash, typically result in more bleeding than other types of injuries. Tell Your Surgeon. If you have decided to avoid or decline a transfusion while having surgery you must notify your surgeon and surgical team as early as possible, preferably when first discussing the possibility of surgery. If your surgeon is not able to perform a bloodless surgery, ask for a referral to one who can. Find Your Hospital. Not all hospitals offer a full blood conservation program or bloodless surgery. While many of the techniques used to minimize the possibility of transfusion are possible at most facilities, bloodless surgery techniques are not available everywhere. For example, a liver transplant is available at many large hospitals across the country, but very few hospitals are able to perform a bloodless liver transplant. Document Your Wishes. Once you identify the hospital at which you will have surgery, you will need to complete paperwork that documents your wishes if you elect to decline all blood products while in the hospital. This form is a type of advanced directive. Keep in mind that patient's have the right to refuse treatment of all types, not just the administration of blood. Sign Up Early. It takes time to plan a bloodless surgery. Something as simple as treating iron deficiency anemia in preparation for surgery can take 6 to 12 weeks, if the condition isn’t severe. Once the anemia is treated, a patient may need additional weeks to have blood drawn and stored for their potential future transfusion. This is called autologous blood transfusion. Finally, once enough blood is stored, the body needs time to recover and rebuild blood stores. Determine if there is a bloodless surgery coordinator at the facility where you will be having surgery. This individual can help plan the care needed during the entire surgery experience. Planning is essential prior to a bloodless surgery. In order for a patient to tolerate surgery without blood, they must be in the best possible physical condition prior to the procedure. This means having healthy blood so the body can better tolerate losing blood during surgery. This process starts with testing the blood of the patient so that the quality of the blood can be improved, if necessary, and unnecessary blood loss can be prevented. If the patient is determined to be anemic, which means having too few red blood cells, the reason for that anemia needs to be determined and the condition corrected if possible. That may mean diet changes and supplements or future medical testing. Stool may be tested for blood to make sure no blood is being lost in the digestive tract. Women who have severe menstrual bleeding may be referred to a specialist who can help reduce blood loss with medication or a procedure if necessary. 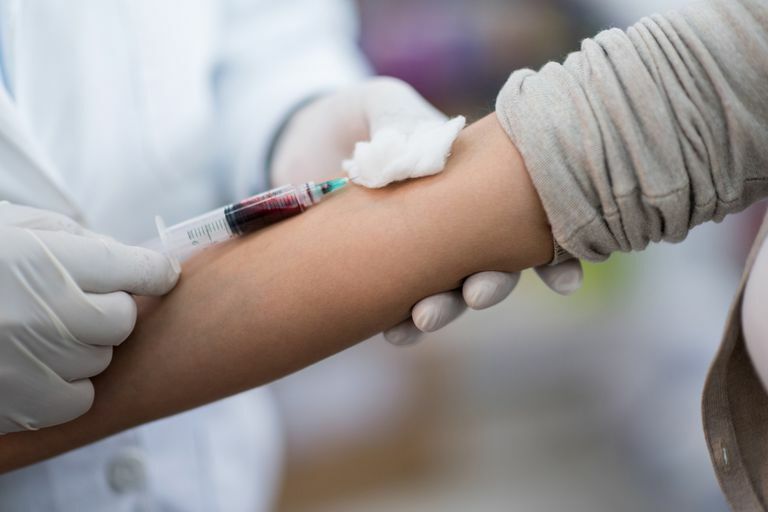 When blood is drawn for lab testing, smaller quantities than normal are often drawn, sometimes using testing supplies and equipment that are typically intended for small children. A newborn is unable to tolerate large quantities of blood being drawn frequently, so the tests are designed to used far smaller quantities of blood than those used for adults. If blood is likely to be needed during the surgery, the patient can “donate” their own blood, which is then stored so that it is available later during the patient’s surgery. Patients who are worried about the risks of transfusion but have no objection to a transfusion in general could have family members also donate their blood for the future procedure. In some cases, medication is given to increase the amount of red blood cells prior to the procedure. These medications, including erythropoietin, can be very expensive and are typically reserved for patients with anemia that does not respond to other types of treatment. A surgeon well-versed in bloodless surgery and experienced in the use of blood conservation techniques used before, during and after surgery is the most important part of a successful bloodless surgery. Small changes in surgical techniques can pay handsome rewards in terms of blood loss. For example, cutting tissue with a scalpel leads to bleeding, so where possible an electric cautery device, which cuts but also uses heat to stop bleeding, is often used. Robotic procedures: Many surgeries can be performed using robotic technology, which may decrease the amount of bleeding expected during surgery. Minimally invasive techniques: Laparoscopic surgery uses multiple very small incisions to perform a procedure rather than the single large incision that has traditionally been used. This newer but now common technique typically reduces bleeding dramatically over the older “open” technique. Cell saver: This is a device that allows the surgeon to collect blood lost from the surgical site during surgery. After being collected it is treated with blood thinners to prevent clotting and if appropriate the blood can be returned to the patient as a transfusion. Maintaining the patient’s temperature: Many operating rooms are quite cool, and due to the room temperature along with being very still during surgery, the patient’s body temperature often decreases during surgery. This drop in body temperature can lead to increased bleeding so efforts are made to maintain the patient’s temperature at a normal level. The positioning of the patient: The way the patient is placed on the table in the operating room can influence how much bleeding occurs. The ideal position varies depending upon the surgery being performed. Medications to reduce bleeding: There are medications that can be given to prevent and reduce bleeding, such as tranexamic acid. Medications that increase bleeding are also avoided. Treating the incision: To reduce bleeding at the surgical site, tissue adhesives can be applied to an incision as a powder or liquid. The adhesives promote the blood at the site to clot and to stop bleeding faster. By necessity, the tolerance for a low hemoglobin level (reduced numbers of red blood cells) is required after bloodless surgery. That doesn’t mean that bleeding will be ignored and untreated if there is bleeding after the procedure, but it does mean that the typical response to blood loss might be different. Bleeding will be aggressively treated in an effort to stop blood loss. For example, an incision that continues to bleed after surgery might be treated quickly using tissue adhesives to encourage clotting, pressure being held over the incision to decrease bleeding and watched closely for any indications that the patient needs to return to the OR to determine where the blood is coming from. Blood conservation has few risks, as the idea is just to reduce the amount of blood used during the patient's treatment. Bloodless surgery, however, absolutely has risks, many of which common in individuals with anemia. Individuals who have anemia, whether it is anemia due to blood loss during surgery or another cause, may feel the symptoms of anemia: weakness, fatigue, headache, and intolerance of exercise. When the level is low enough that it would typically be treated with a transfusion, healing will occur more slowly than in an individual with healthier levels. In severe cases of anemia, like the dramatically decreased levels of red blood cells that is seen when a patient has severe bleeding, the risk of death is very real. Luckily, the risk of death remains low for most bloodless surgery patients. It is likely that some of the techniques used to prevent the need for transfusion that have been assembled specifically for patients who are determined not to have a blood transfusion during surgery will start to be more commonplace for all patients anticipating surgery. This is because these techniques are (mostly) easily implemented and can reduce the overall risk that patient faces if transfusion can be avoided. Perioperative Blood Transfusion and Blood Conservation in Cardiac Surgery: The Society of Thoracic Surgeons and The Society of Cardiovascular Anesthesiologists Clinical Practice Guideline. The Society of Thoracic Surgeons Blood Conservation Guideline Task Force. http://www.sts.org/sites/default/files/documents/pdf/BloodConservationGuidelinesFINAL.pdf. Surgical Blood Conservation: Preoperative Autologous Blood Donation. http://www.uptodate.com/contents/surgical-blood-conservation-preoperative-autologous-blood-donation?source=see_link. Are You at Risk for Anemia After Surgery?